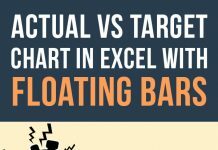 Excel is a love of life for everyone who wants to tame the data by making much larger data in short yet precise data without losing its meaning and value. But what if you want to go the other way around i.e. you have a very basic requirement and wants to search for it in millions of records? Now out of this stack you want to know how many varieties each product has? Scratching your head already? This is exactly what we are learning today! Just to be clear that every reader understands the requirement and why is it a challenging one, I will explain it a little more. 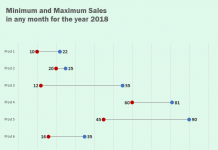 We have the data in two columns. First; products itself and secondly the varieties that are sold. As you can see there is a repetition of product and also the variety in the respective column. Now what I want is to know, for example, how many types of Apples are sold to customer? As the data is small I can easily see that there are only two types of apples; green. I was able to know it only because record is small enough to process. But think of records that are in thousands! Will you risk doing like this? I won’t! I have Excel with me to do this. Step 1: Add a helper column. Name it “Count” and enter 1 in all cells down to fill the range. Step 2: Select the data and go to Data tab and click Remove duplicates button. This will cut the data down to unique values only. Step 3: Copy the first column and paste it somewhere empty inside the worksheet. And apply the remove duplicate operation again. Now you will be left with only unique products. Biggest problem with this method is it changes the data and thus considered destructive. The only option is to copy the whole data and the apply this technique which is not always feasible. Secondly you have to go through three sub-processes to get it done. Removing duplicates twice and then using SUMIF or similar formula to count the values. How often you have enough time to do things longer way? Step 1: Take the same range as we considered in Method 1 including the helper column. Select the range and convert it into table. 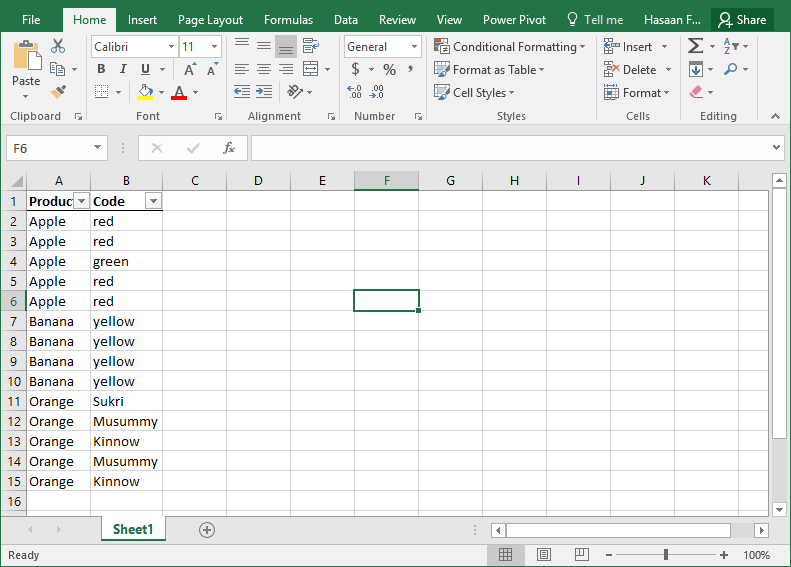 This will make writing formula super easy because of structured references of tables (one of the coolest tricks out of many Excel tables can do). Also change the name of table by going to Design tab > properties group > Table name to “pp”. Step 2: Select the table and go to Data tab > Sort & Filter group > click Advanced filter button. From the dialogue box that pops up, check the unique records only box and click OK. Step 3: You might have realised that we have got the same data that we got in Method 1 but this time the data is not lost. Its just filtered out. Step 4: Copy the product column and paste it under the filtered table. Select the column and remove the duplicates same way we did in Method 1. So we solved the destructive problem of Method 1 by employing advanced filter. But that posed another challenge and made the formula unnecessarily complex. Sure its done. But is there a way to make it even easier and better? Yes there is! Step 3: Will take a moment to process and normal pivot table interface will appear. Move the products field to rows quadrant and code field to values quadrant. Let me say that LOUDLY! NO DATA DESTRUCTION NO FORMULA NO VBA AND YET DISTINCT COUNT AND THAT TO IN A FLASH! So in this article we learnt three methods to make distinct count. How do you make the distinct count or what method would have you adopted? Share your ideas in the comment section below to start the debate! You’re crazy, man!!! MANY THANKS for this post!!!! I’ve been looking for this 3rd. method during 2 years! Awesome!!!! Thanks Ajay. Happy you found them great! Oh so happy to see you here Mike. Thank you!